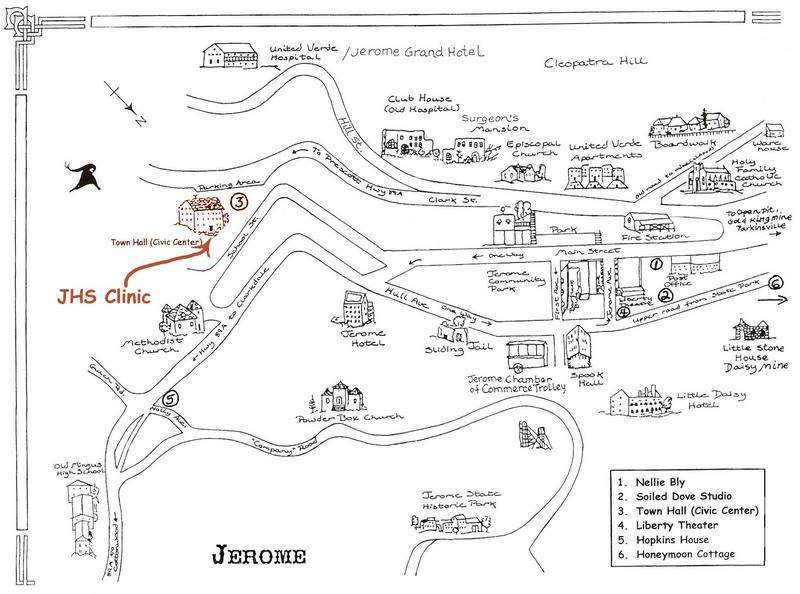 With the help of the Town of Jerome and the hard work of our many volunteers the Jerome Humane Society opened an animal clinic in 1992 to perform surgery, treat hurt and sick animals and give inoculations against common diseases. Since then, we have spayed and neutered well over 2,000 cats and dogs. 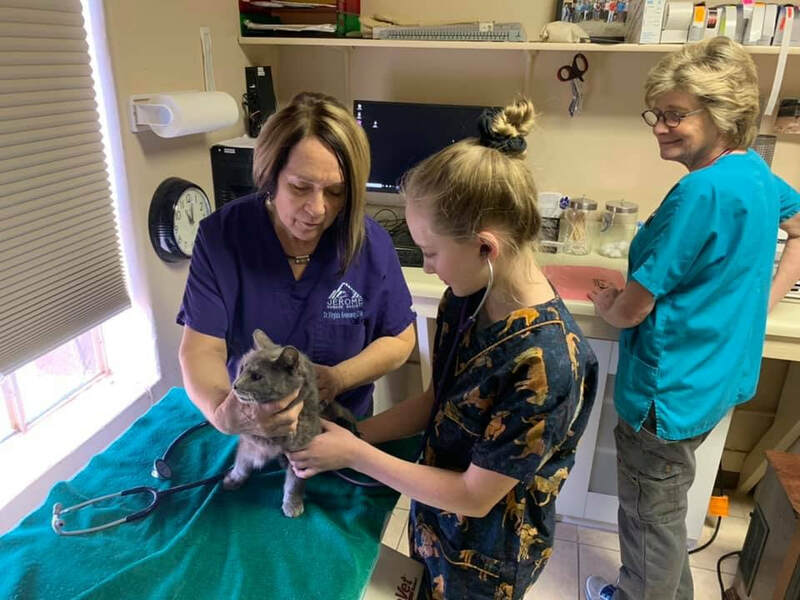 We originally operated our clinic out of the private home of Mary Wills that was approved by the Arizona Veterinary Board. The Town of Jerome donated three rooms in the basement of the old schoolhouse which had previously been used for storage. Volunteers in the community helped to rennovate the rooms into the clinic the Verde Valley community enjoys today. With the help of a $16,000 startup grant from Bob Barker's spay & neuter fund we were able to purchase new & used equipment for the clinic. 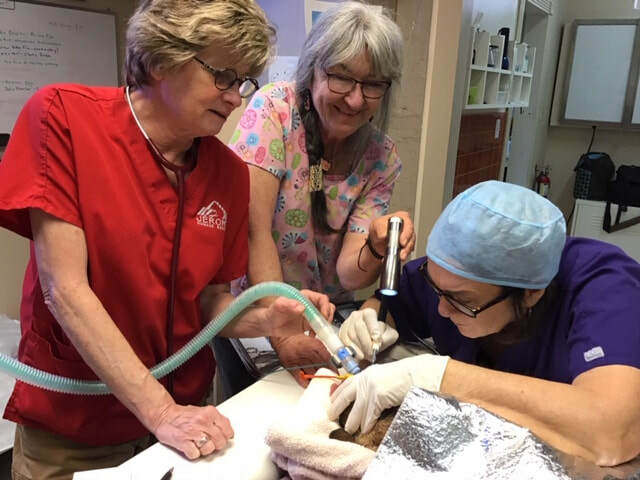 Ongoing fund raising efforts such as our famous name-your-price semi-annual flea markets in May and November, as well as generous donations, have enabled us to provide low-cost surgical and consulting services for everyone. In 2018 we finally reached another milestone by acquiring a new Digital X-Ray system to upgrade our aging old film-based unit! 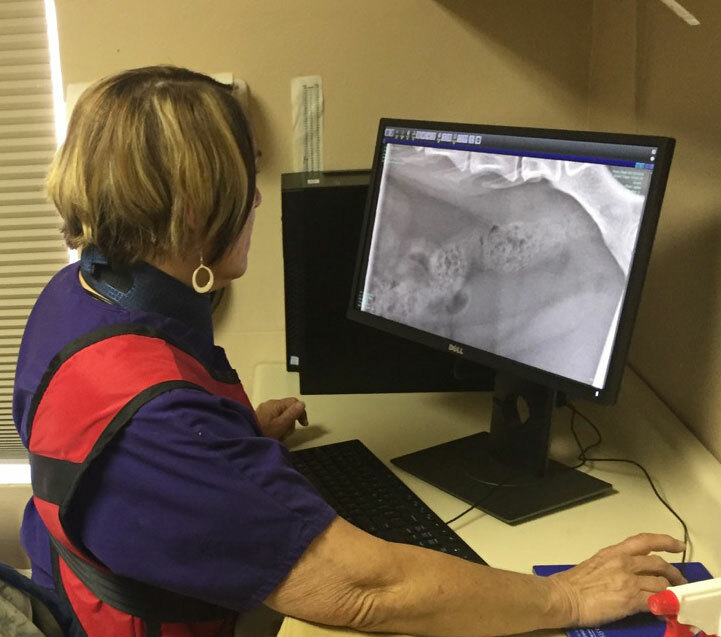 This has truly enhanced our treatment process by being able to quickly examine any animal that we're caring for and to be able to make a digital record of the ailment that we may operate on. Thanks to everyone that helped out by donating to this special Digital X-Ray fund!